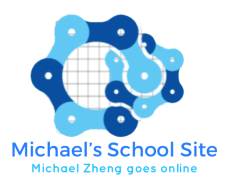 Welcome to the brand new Michael School Site. Here, you can see two exclusive and special information of Michael Zheng's school-related stuff. There is a Homework Room, and a Progress Journal, both on this site. Check out the new ebook, High in the Sky by Michael Zheng. Available exclusively from Michael Zheng School Site. THE GREAT ESCAPE OF CORLOR OUT NOW! The Great Escape of Color is a new original book, written by Michael Zheng. It has received many favourable reviews from the students of 6K. You can get it now by clicking on the link below. It's currently discounted by 20%! As a Michael Zheng School Site reader, don't forget to use coupon code NIGEL35 for an additional 35% off the discounted price on my book at checkout. Hurry, this offer will end in the next couple of days! You will see homework reflections, tasks, and assignments posted in the Homework Room. It is a great way to see homework posted online. The Progress Journal is where you will see thoughts and progress timetables. It will also contain information relating to major projects, group tasks, and more. It will be like a real journal, with entries being posted frequently. Personal Notes/Things is a brand new addition to the site, recently released in March 2015. Michael Zheng's personal to-do lists, notes, new things around, comments/opinion on trending things, and much more. Don't be surprised on this page, as it contains some confusing facts, or it might not become a full picture in your mind. Inspired by collaboration and sharing. Watch the Coming Soon page for updates on what's coming up for the Michael School Site. Information will be periodically released around the start of every new month. All you need to do is stay tuned! Our sister site, Michael Zheng, is the home of Michael Zheng, where everything is in detail. Anything not related to his school life, and anything that is purely him, is displayed on the site. All the content you see on this site is for everyone to see, and is free for all. Created by Michael Zheng's team. Site developed by Michael Zheng, click here for site administration. This version © Michael Zheng 2016.